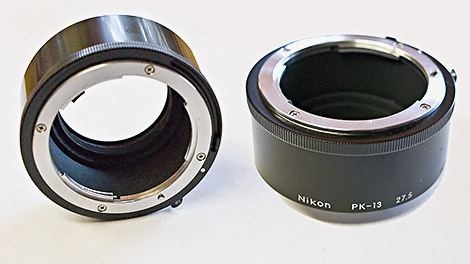 The PK-13 fits between the camera body and lens either single or in combinations. Nikon cameras using these support them in Manual focus mode only and they are considered non-CPU lens attachments. See your cameras manual for more details on compatibility. 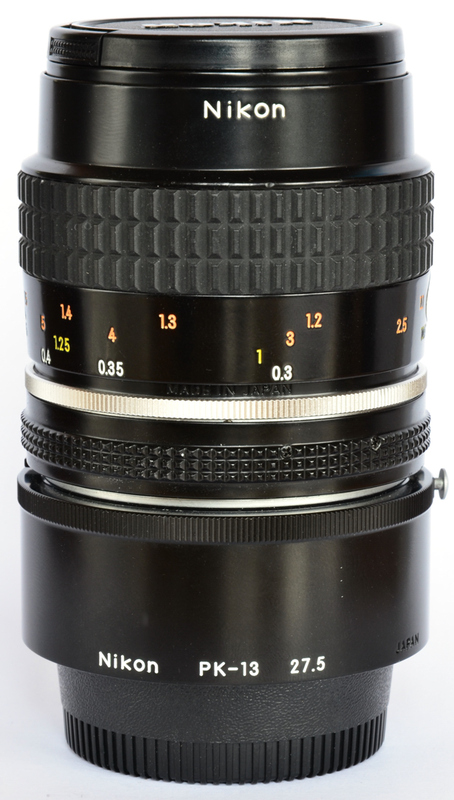 Provides perfect coupling and retains both AI aperture and meter coupling. Does not support AF operation. Note! Exposure meter does not work with D90, D60, D3000, D5000. 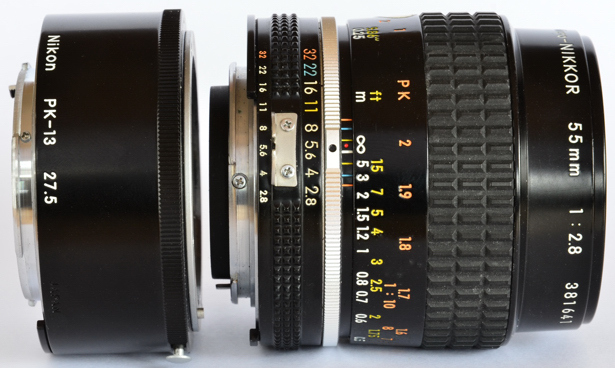 G-type lenses cannot be used. Supports AF-S lenses in Manual mode only.